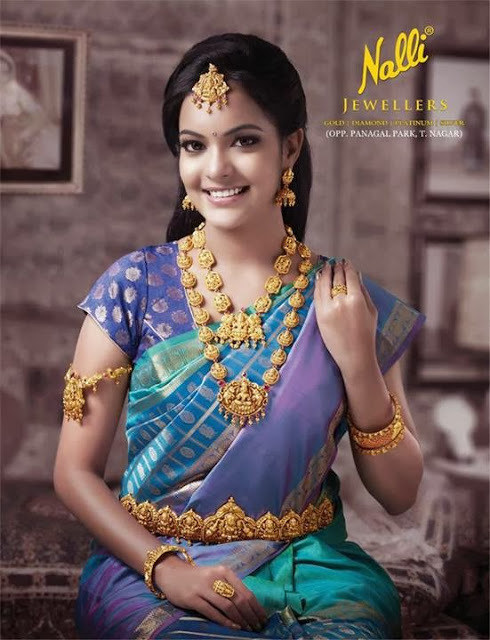 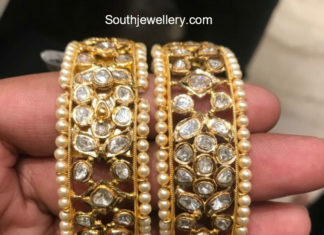 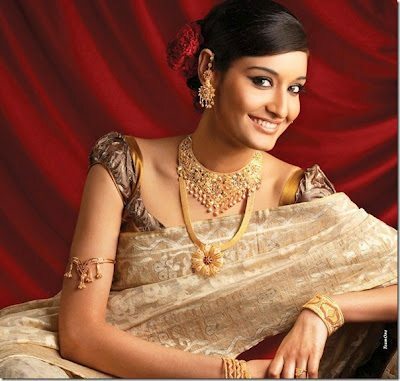 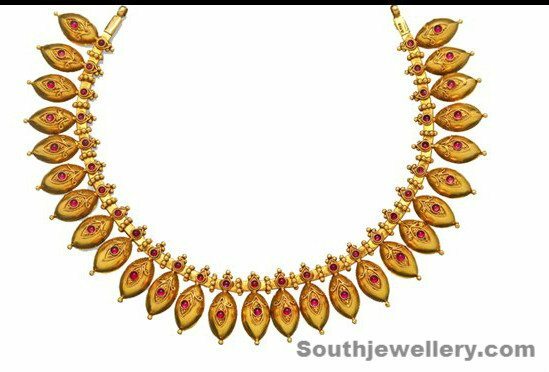 22 carat gold broad antique finish kadas from Kalyan Jewellers. 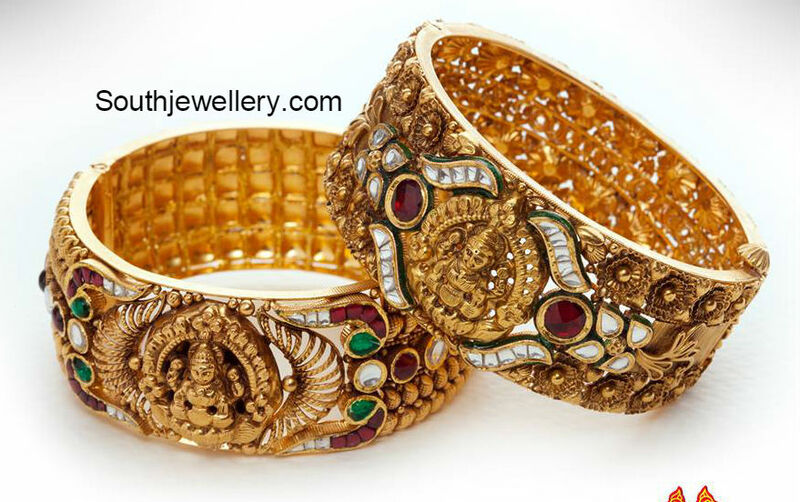 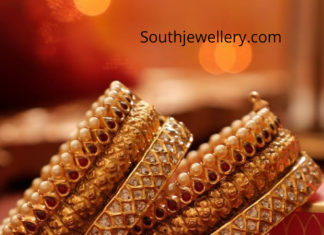 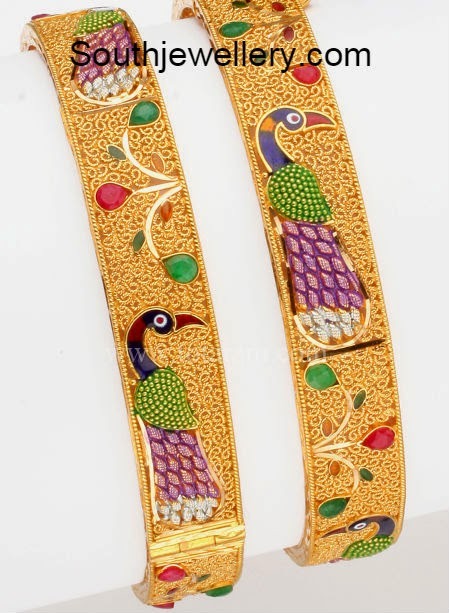 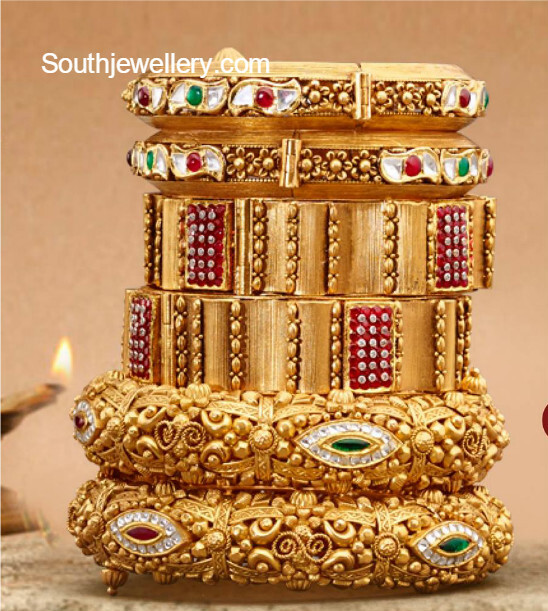 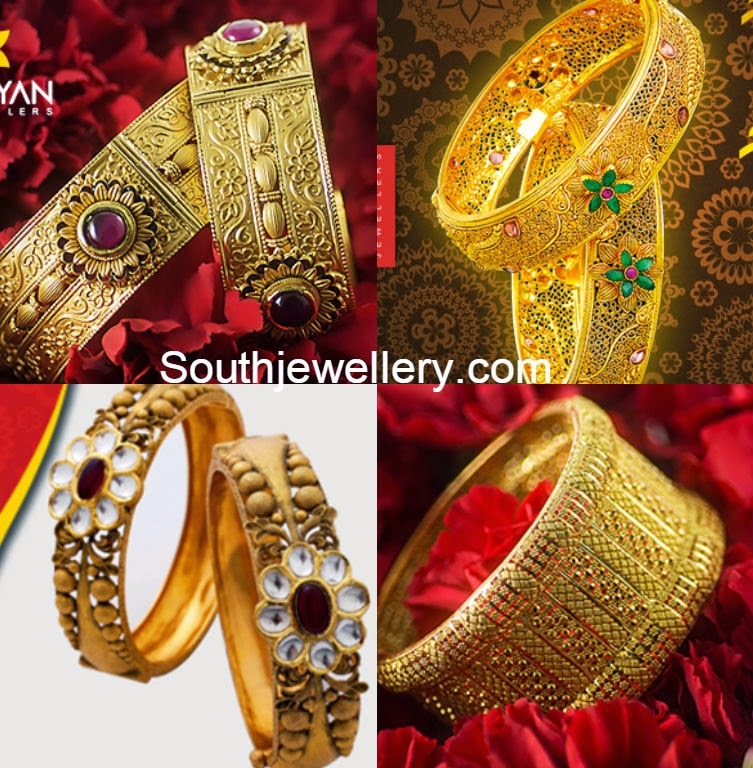 22 carat gold antique finish intricate work Lakshmi broad bangles studded with kundans. 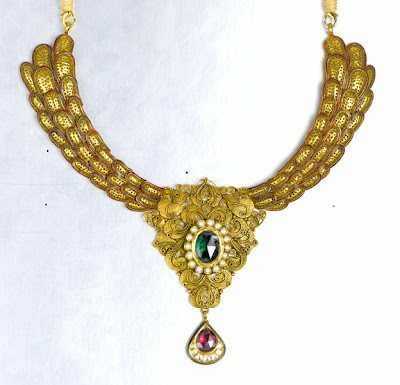 Beautiful antique gold necklace studded with emerald, ruby and flat diamonds.